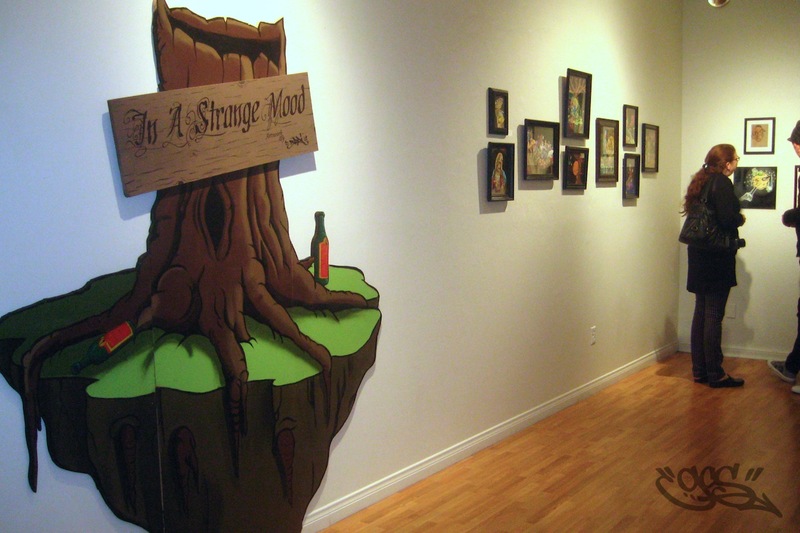 “In A Strange Mood” art show at GCS Santa Ana. 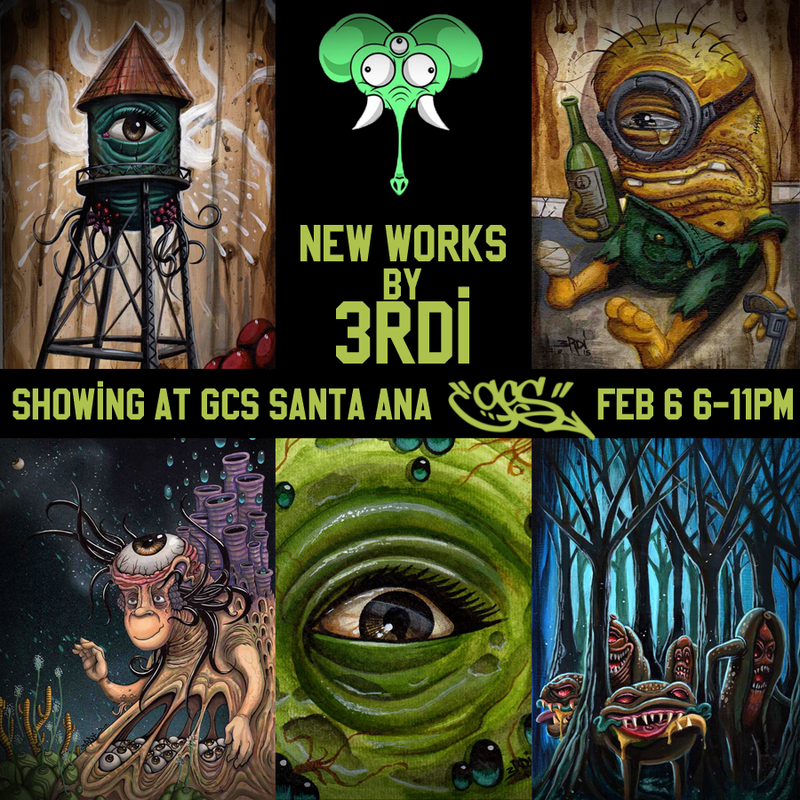 GCS would like to announce that 3rdi will make his return to our gallery with a collection of new works for the FEB art walk. 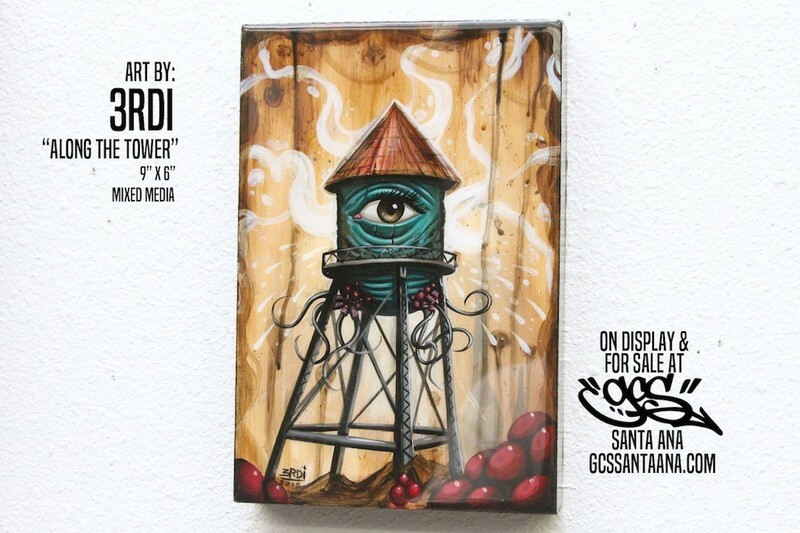 Don’t miss this art show. 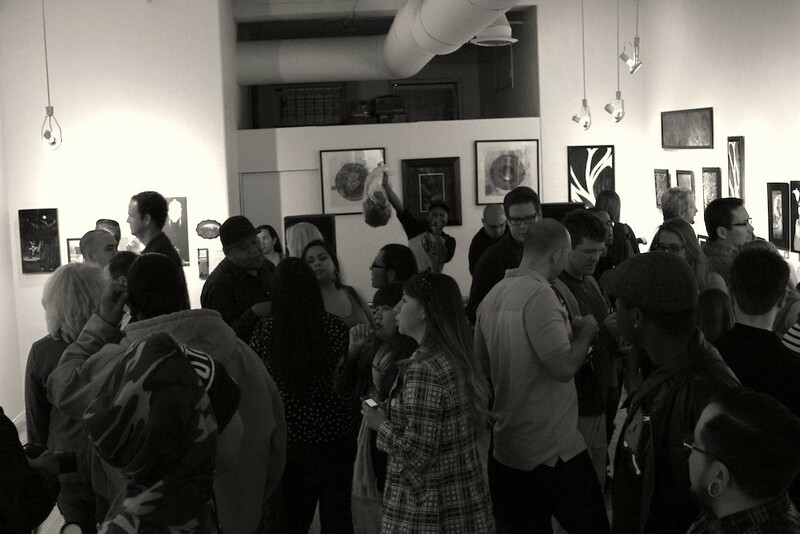 JUNE 6th, 2015- This month’s art walk had a lot in store for everyone. 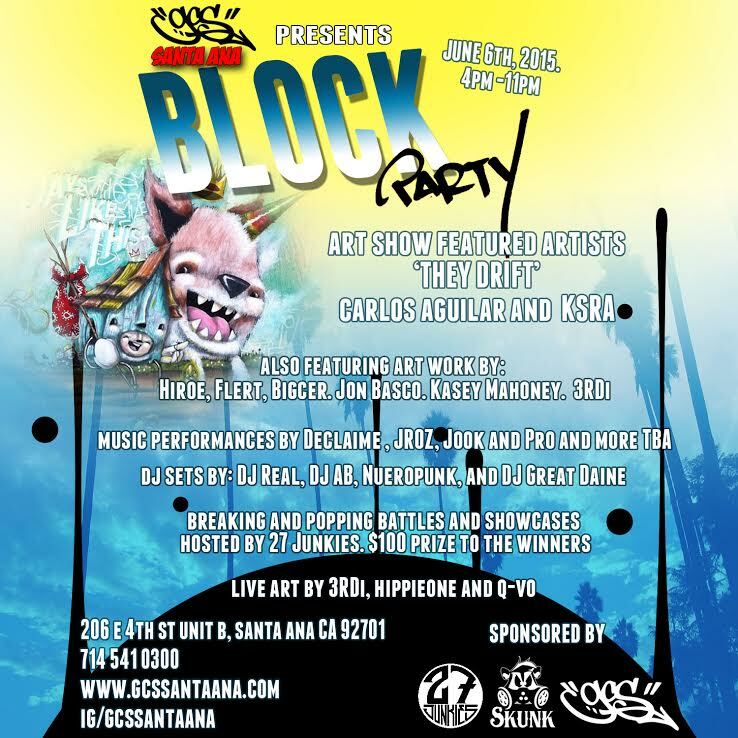 Not only was it the monthly first saturday of the month art walk, but East End Santa Ana held their second annual EAST END BLOCK PARTY, as well as the traveling beatswapmeet. This post is an attempt to capture all the happenings at GCS on this day. I’m sure this will take more than one post, so here we go. THEYDRIFT a.k.a. 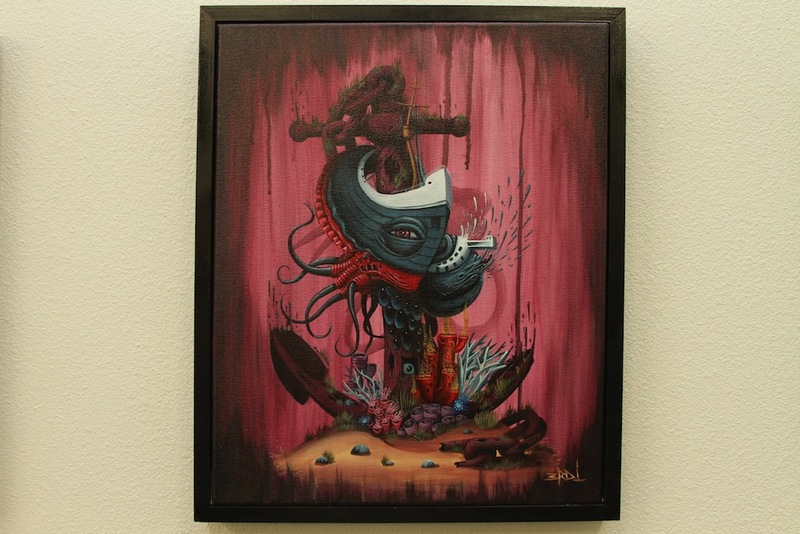 Carlos Aguilar and KSRA were our featured artists of the month in our gallery. 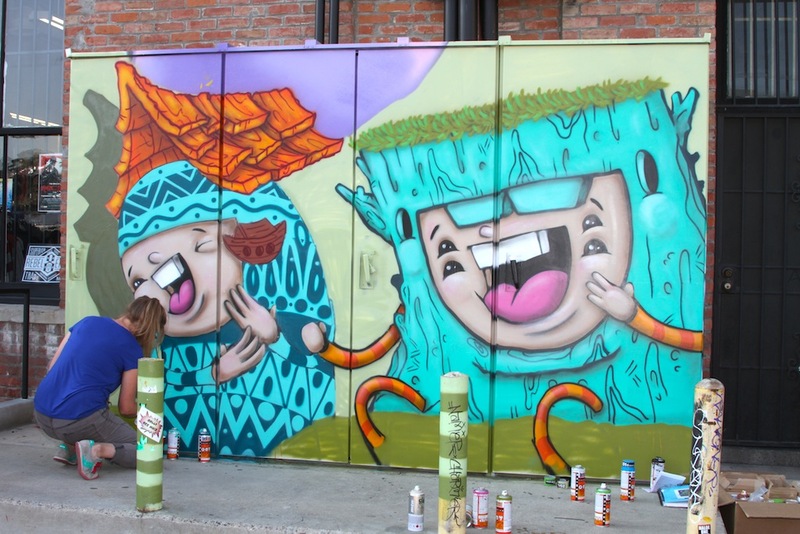 In addition to the great pieces that they brought with them, they painted live through out the day for the art walk crowd. JROZ, MC Prototype and Jook blessed the mics this evening. 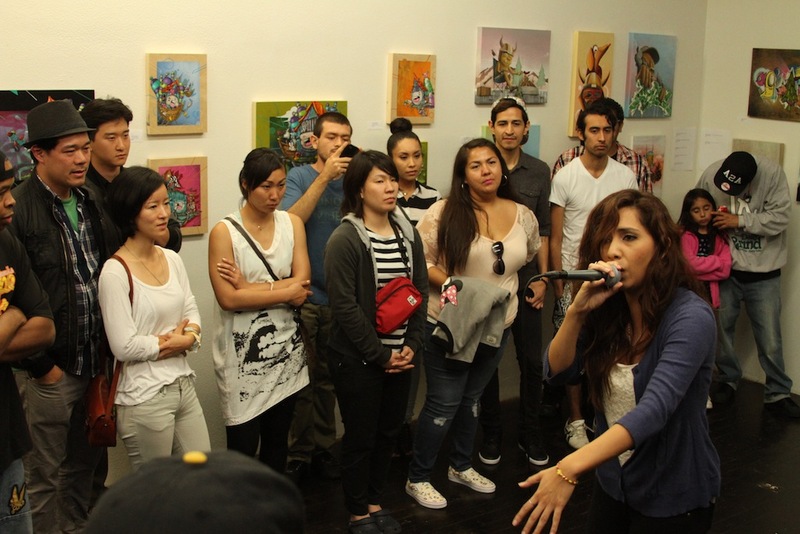 DJ’s Daine, Real, AB and Neuropunk gave the gallery a great vibe through sound vibrations. 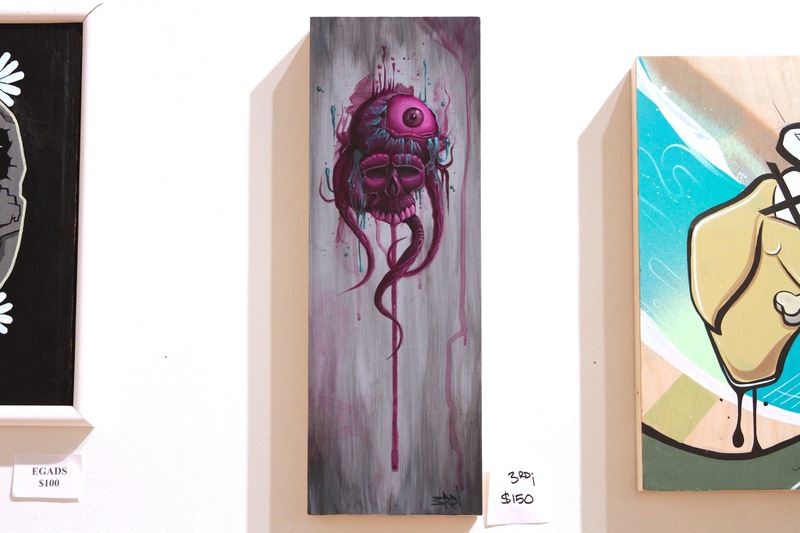 3rdi, Hippieone and Q-Vo also had a chance to share their art with the public. And to top off the evening, Burst Rock and Tic Tac hosted our first breaking and popping battle held in our new location. B-Boy Tekken and Popper Chris won the night. And as stated before, many many more photos and videos to come. GCS is happy to announce our event for JUNE ART WALK. We’re calling it GCS BLOCK PARTY in keeping with the theme of the EAST END BLOCK PARTY. What is that you ask? Well, its like the art walk amplified 10 fold. 4th street will be blocked off to allow for a few music stages. The Beatswapmeet will also be the neighborhood so saying that the day (and night) is going to get busy down here is an understatement. Nov 3rd, 2012. 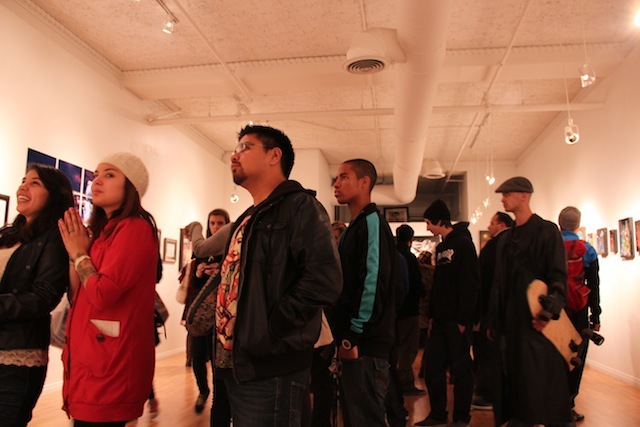 The November art walk was always one of the biggest art walks of the year. Coinciding with the “Noche De Altares” event on 4th st., it was a perfect choice to launch our day of the dead themed art show. 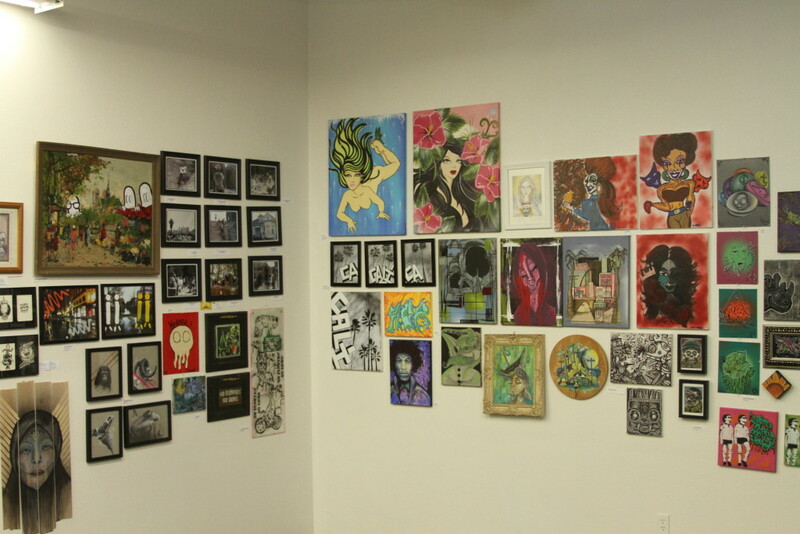 GCS always enjoyed the challenge of curating a themed group art show. And this one was one of our favorites. 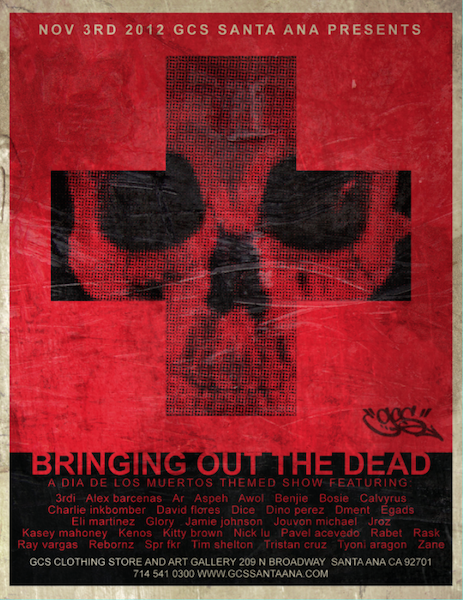 We took a break from the theme this last november but look out for “Bringing Out The Dead” art show to return in ’15. May 4th, 2013. 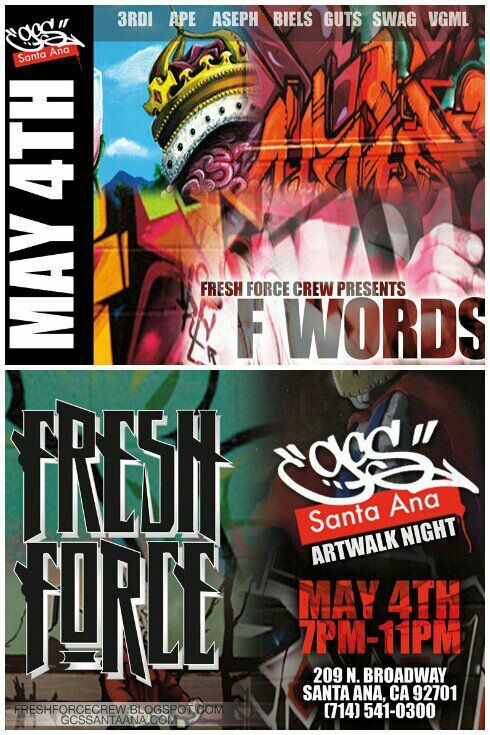 GCS was proud to host “F Words” art show presented by Fresh Force. 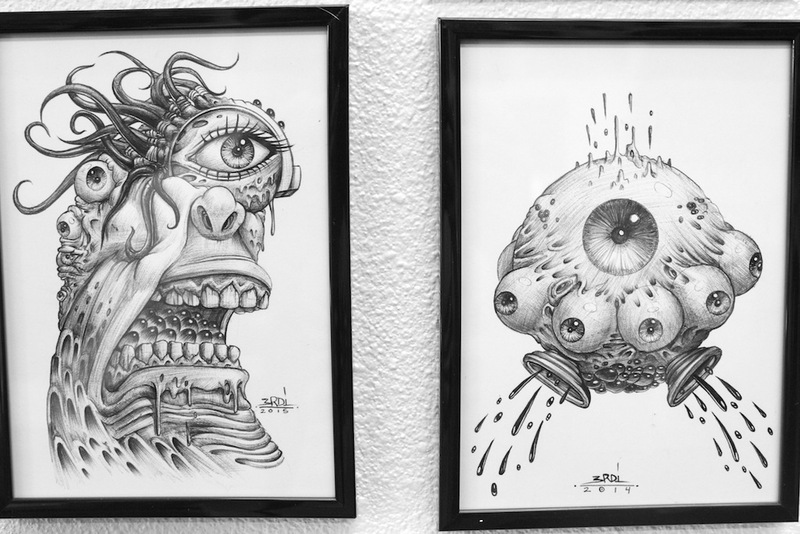 For those of you that are not familiar with FF, these guys have been part of our gallery shows for quite some time now. 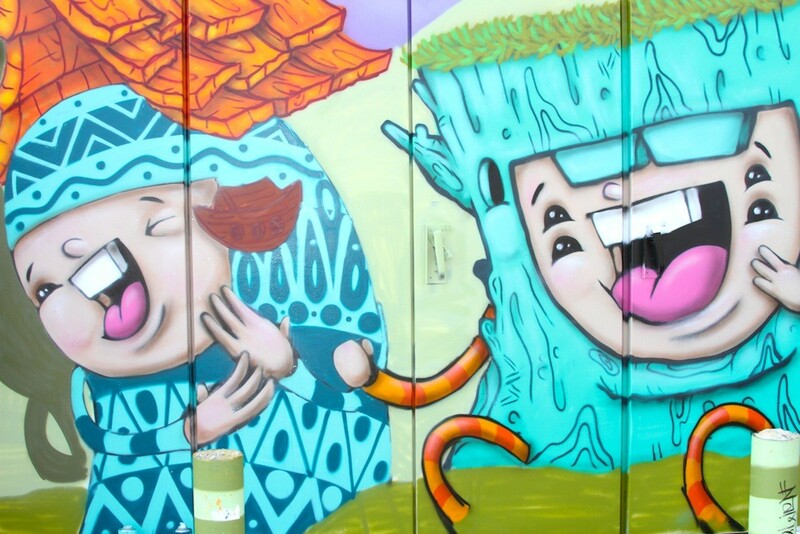 Graff, photography, sculpture, illustration and fine art painting, these guys can do it all. Members include 3rdi, APE, Aseph, BIELS, HURL, GUTS, SWAG and VGML. Look out for more from these cats. May 3, 2014. Heres a look back at our May 2014 art walk. A collection of GCS veterans. 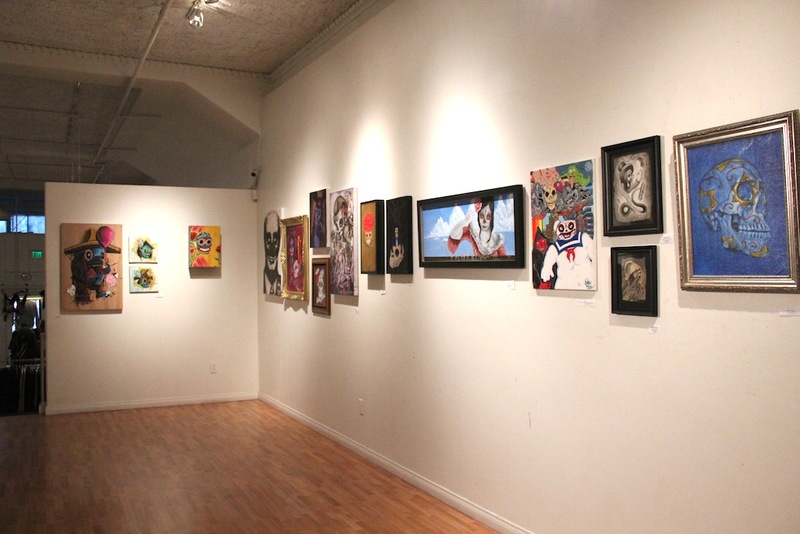 This exposition brought together pieces from 4 or 5 different previous art shows here in our gallery. How many can you name? 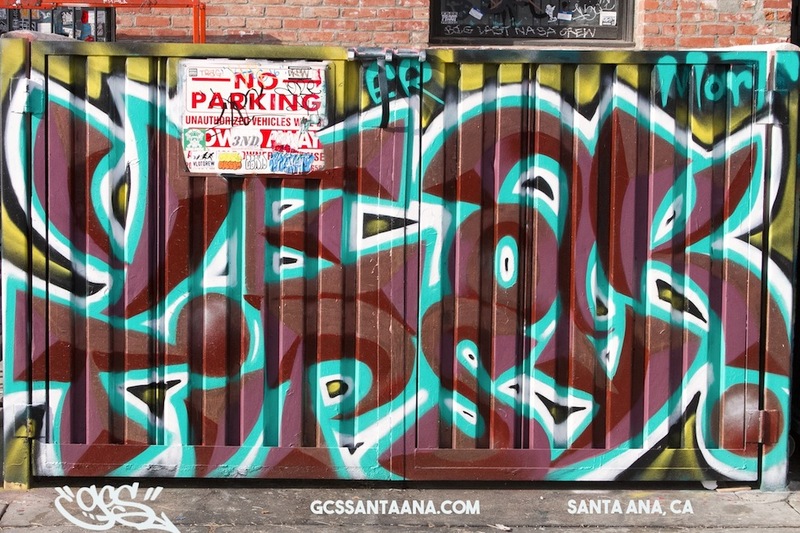 Today we look at the night GCS clothing store came back from the dead and returned to Downtown Santa Ana. 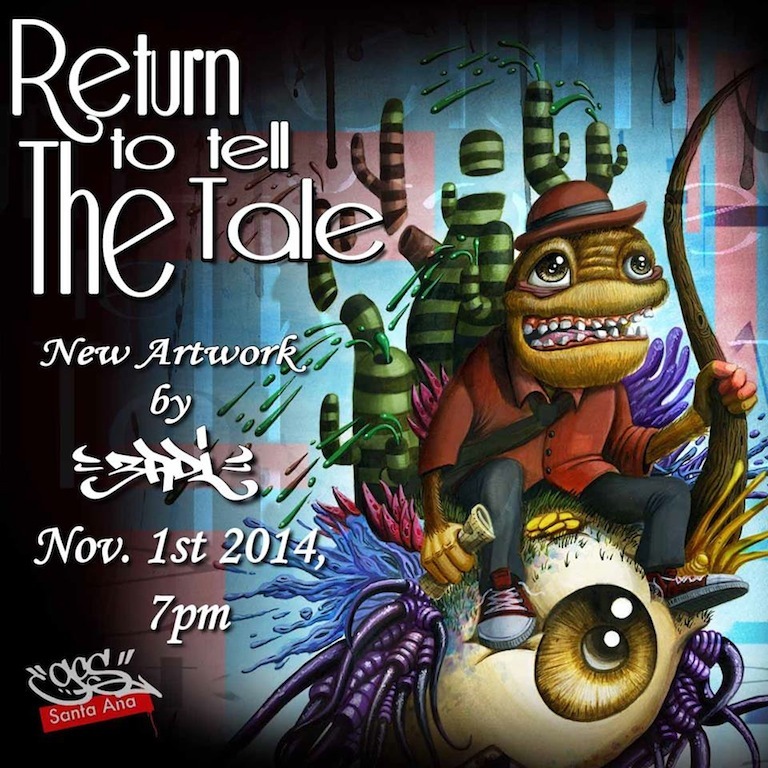 NOV 1st, 2014, in conjunction with the first saturday art walk, GCS opened it’s new doors to the world and hosted the show “Return to Tell the Tale”, a solo art show by Ivan “3rdi” Vega. How fitting it was to have this great artist commemorate our re-grand opening, we have had the honor of showing this guy for a few years now and we had to have him return to GCS and bless the new space and get us going on the right foot. If you have not looked into this artist by now, well what are you waiting for. 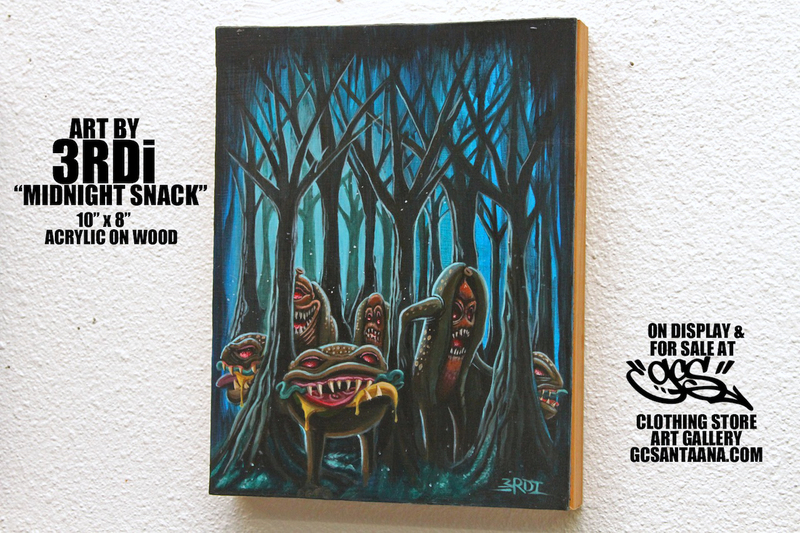 Check his site out here and look for more works from 3rdi at GCS in the near future. Dec. 6th, 2014. 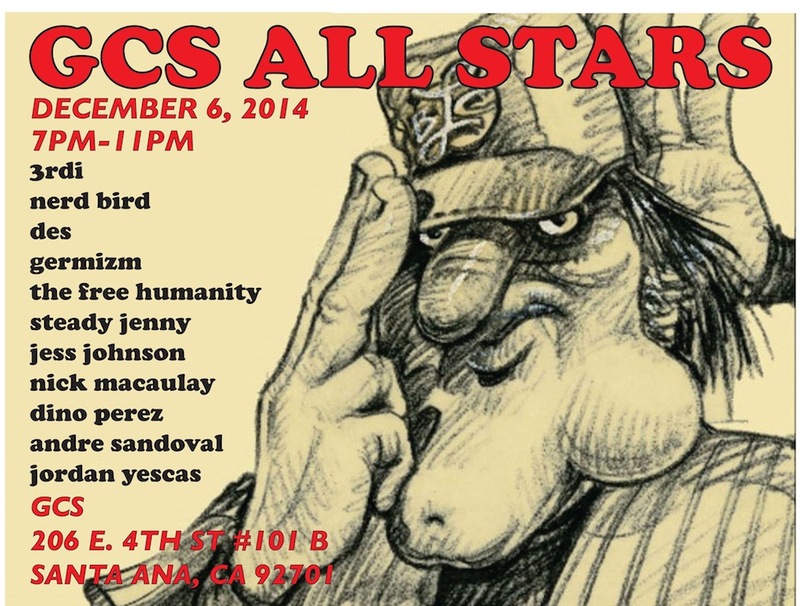 GCS clothing store and art gallery presents a little show we like to call GCS All Stars. 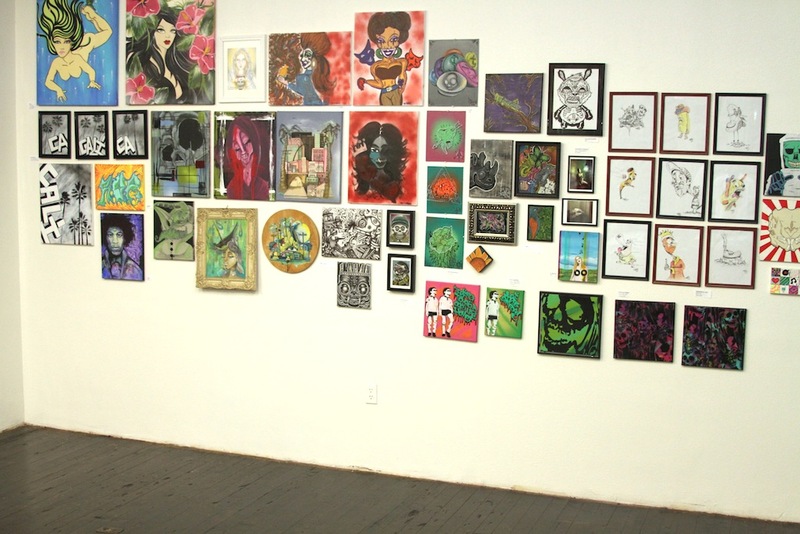 NO theme, just a show made up of artists that are familiar to our gallery walls. 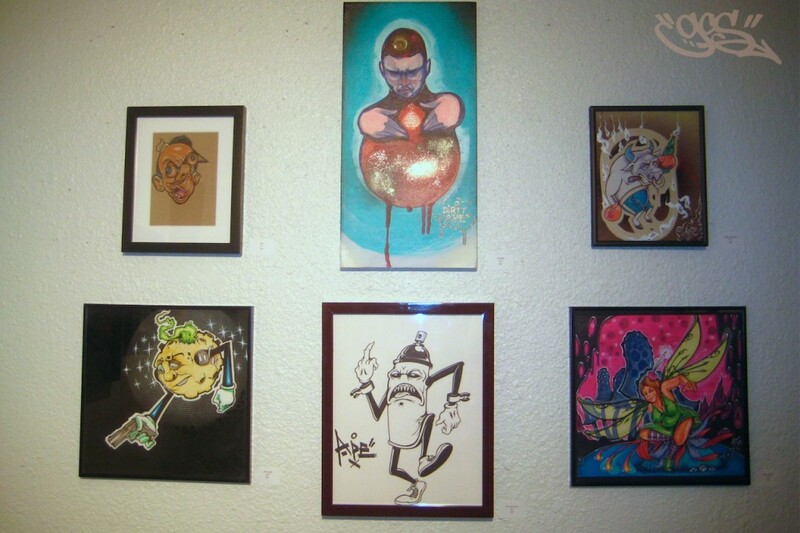 Artists included in this show were Free Humanity, Nick Macaulay, DES, Jess Johnson, Jordan Yescas, Edgar Zamorano, Marcos Camacho a.k.a Nerd Bird, Andre Sandoval, Steady Jenny, GERMIZM, Dino Perez and the works of Ivan Vega a.k.a 3rdi that were still available from the NOV art show. We’re still getting used to our new space and the crowds are steadily finding us in our new place. JAN 3rd, 2015. 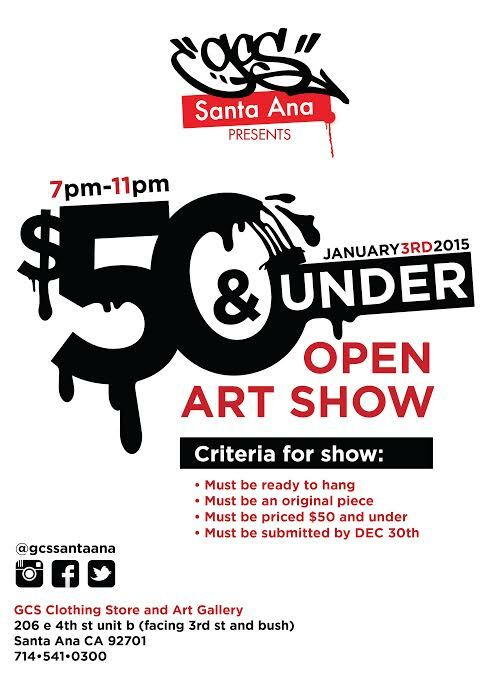 GCS hosted our annual “$50 and Under” open art show during the january art walk. 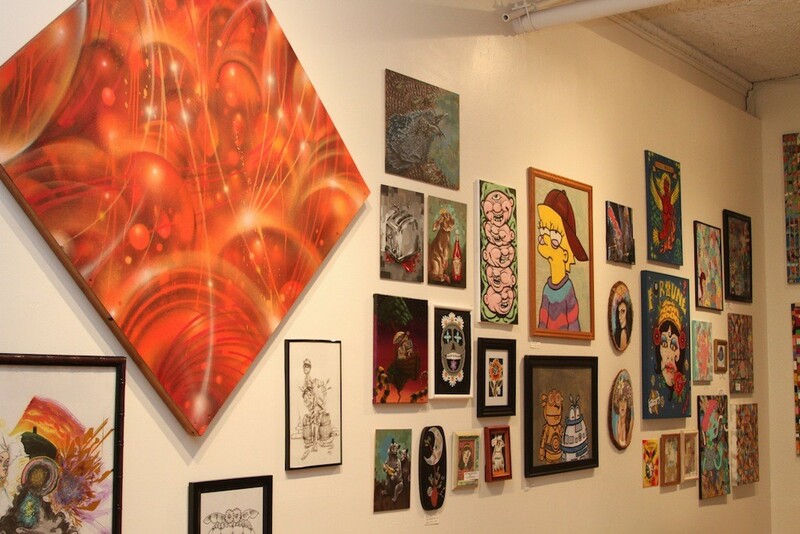 This year marked the fourth year throwing this art show. We learned early on in the process that the art walks in january have two strikes against them. It comes close to the New Year holiday and after everyone has spent most of their expendable income on Christmas gifts and merrymaking. So we figured the only way to combat that is to open the show to lower priced pieces and try to invite as many artists we can to participate. 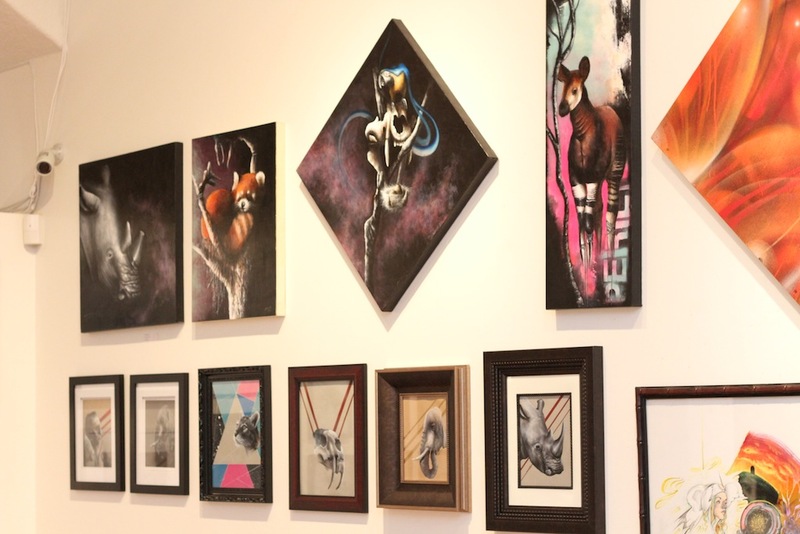 This show is a great way for our customers and students to have their work hang in our gallery for the first time. And it also allows veteran artists to do a little ‘studio cleaning’ and let some pieces go at a lower rate than usual in order to get them into a new home. At well over 100 art pieces, this was a well attended art show and more than a few pieces found new owners. We are always happy to do this show, it allows us to create new connections and showcase new talent. If you are interested in participating in this or any other art show, stay posted to our Facebook or Instagram accounts for announcements and calls for art. 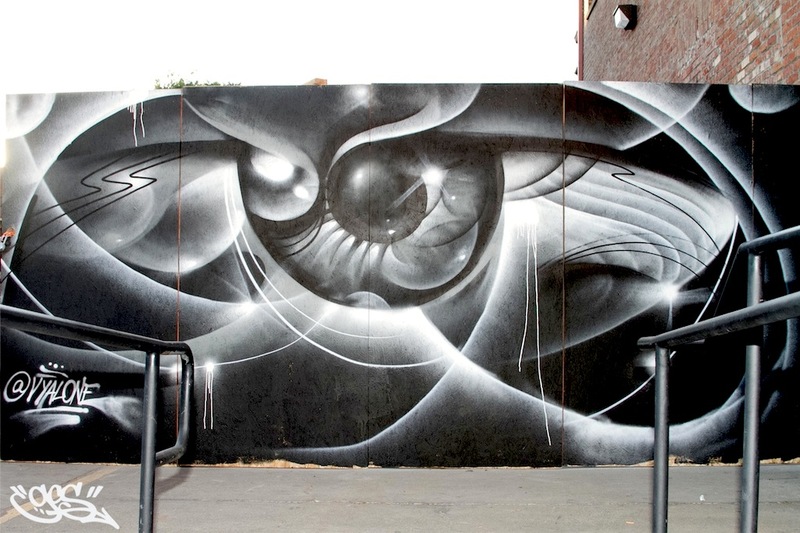 we bid farewell to a great art piece..
By nature, street art is meant to be temporary. Never lasting too long, if spotted, it should be appreciated, photographed, and remembered. Because the length of it’s existence is always unknown. 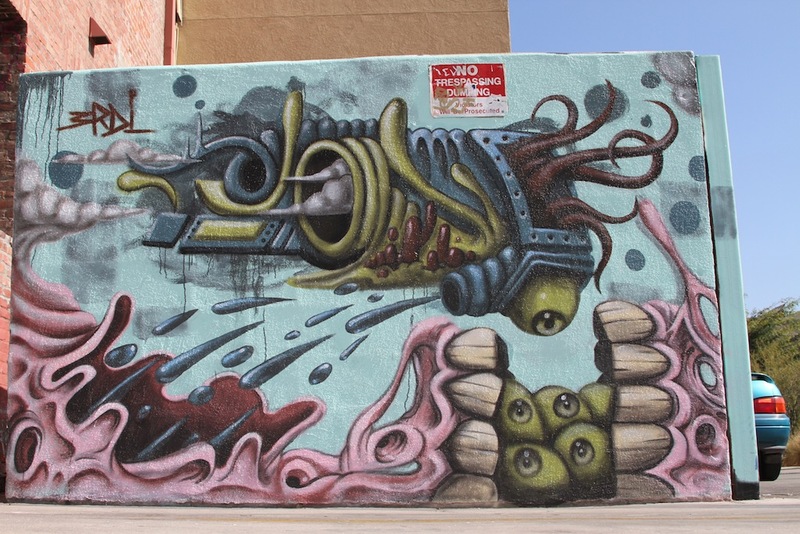 With that said, we bid a fond farewell to this piece by the artist 3rdi. 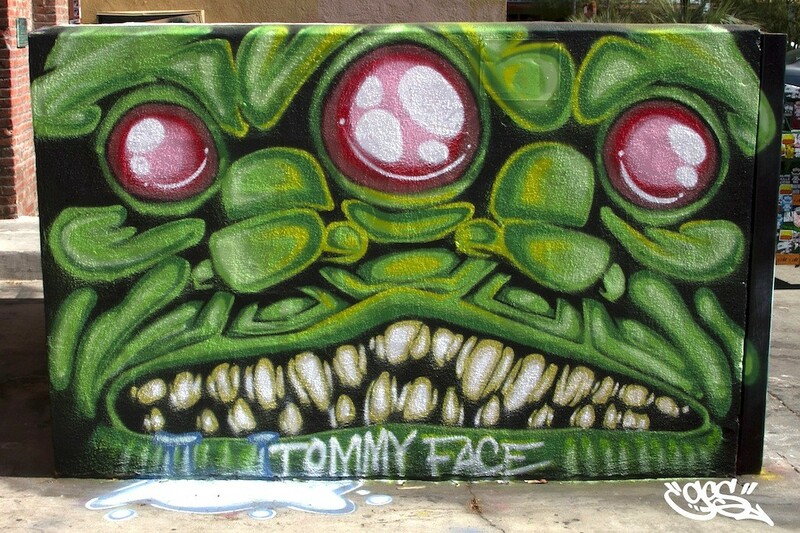 Painted for his NOV 1st 2014 solo art show at the new GCS Santa Ana entitled “Return to tell the Tale”, this piece has been enjoyed by countless passers-by, urban campers, midnight alley thugs and 4th street shoppers alike. 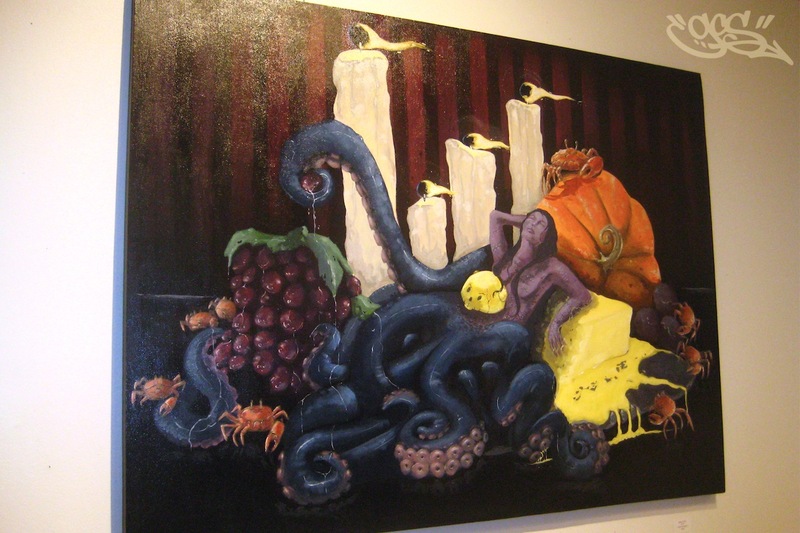 Don’t be too upset, the wonderful DEITY is painting a new masterpiece that will be finished for the FEB 7th art walk …. We know that wall will continue to be straight fire! 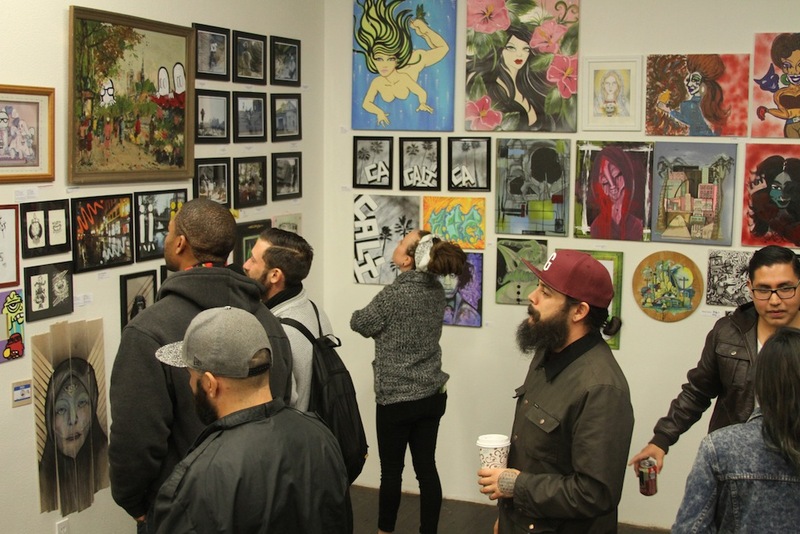 Here is a quick GOPRO video that Ro made of the JAN 3rd art show at GCS Santa Ana… We’ll post a full photo recap in another post. GCS is glad to have a new gadget to mess with as we try to document history. 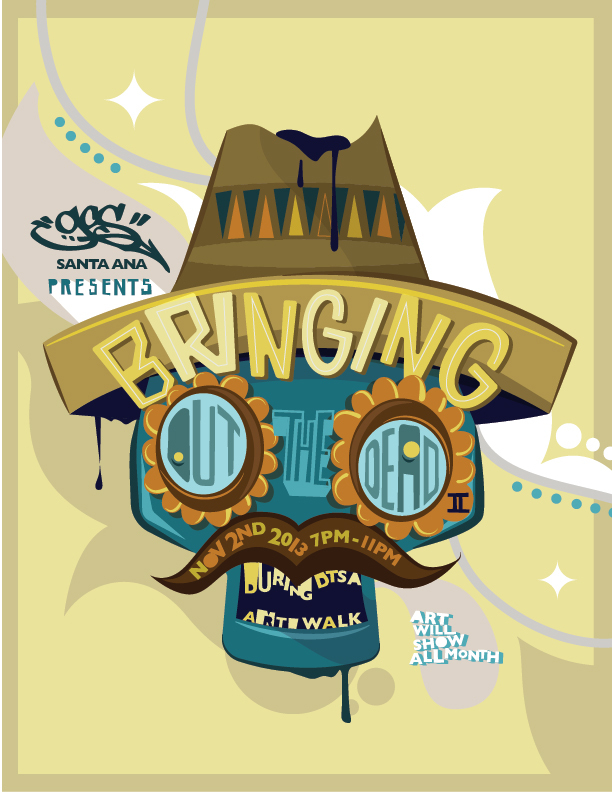 In celebration of the November Art Walk and Day of the Dead, GCS presented “Bringing Out The Dead II”. 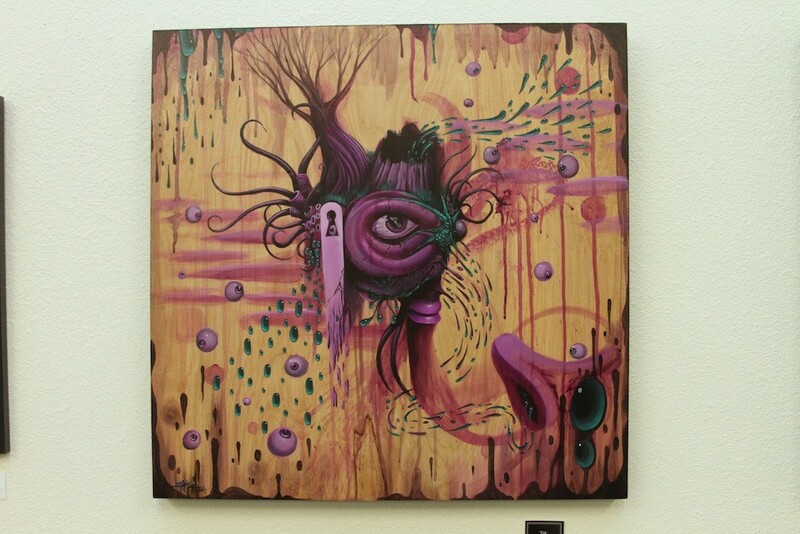 An art show that brought out different aspects of life and death and the beauty that comes from both. This was the second year that this theme was explored and it was just as impactful as the previous show. The roster included some artists that are familiar to the GCS audience as well as a few new names. It was non-stop crowds all evening long as the night coincided with the “Noche De Altares” street festival two blocks over. 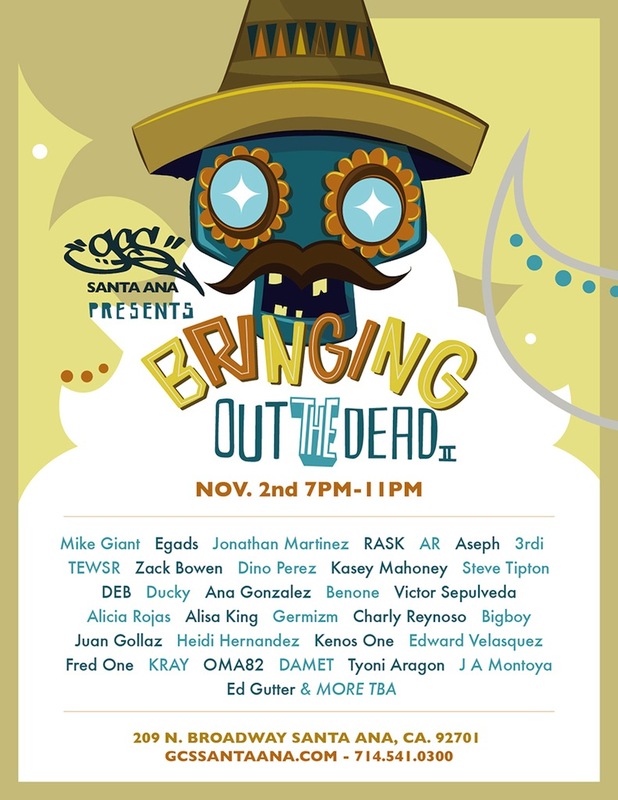 NOV 2nd, 2013 brought to GCS Clothing Store and Art Gallery the second installment of “Bringing Out The Dead” art show. Our version of the celebration of life and what comes at the end of it. 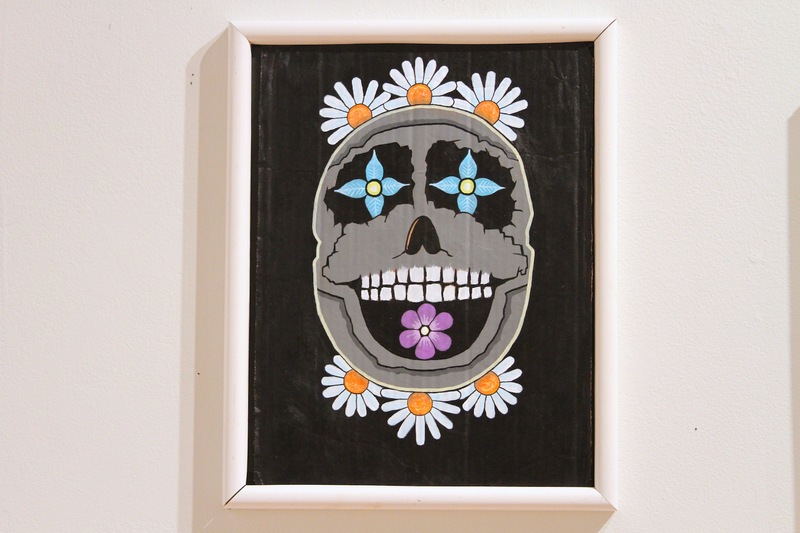 Not your typical day of the dead art show, our hand selected artists put thier own unique twist on the themes and emotions involved with this time of the season. 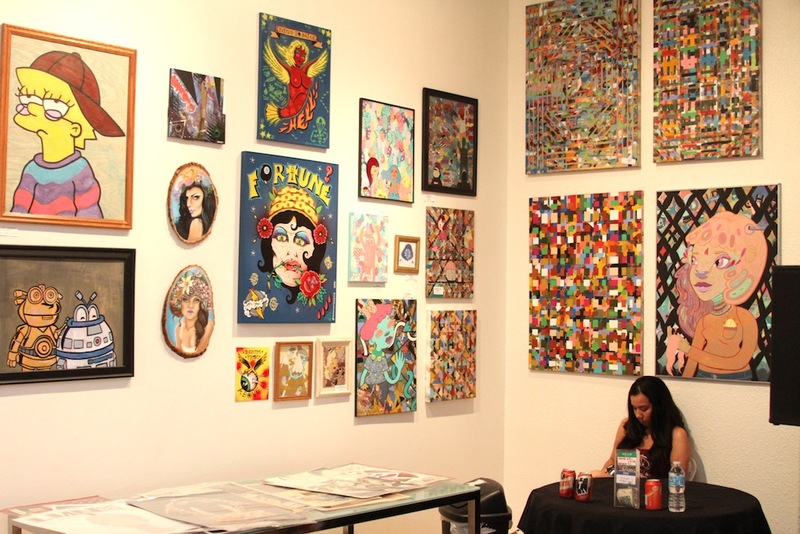 The show opened to huge crowds being that the November Art Walk coincided with the Noche de Altares street festival taking place a few blocks away. 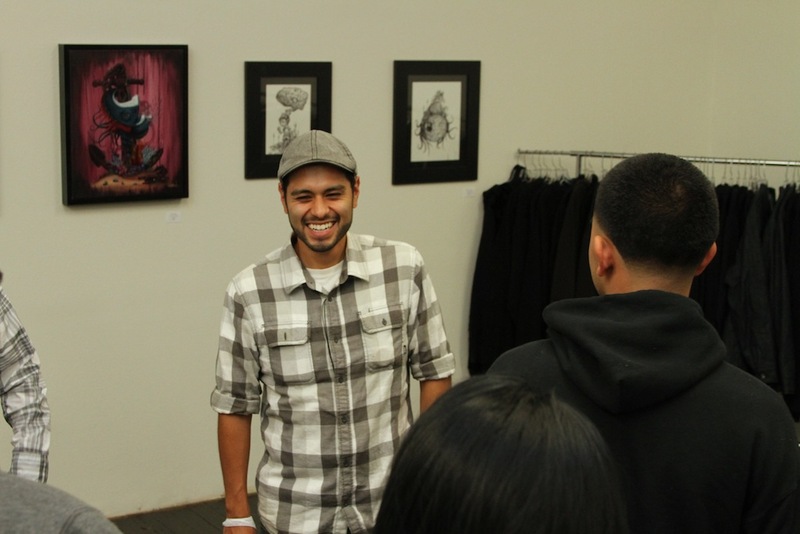 Judging by the reactions of the crowd, “Bringing Out The Dead” art show accomplished what it set out to do, to be a memoriable part of the day’s experience. 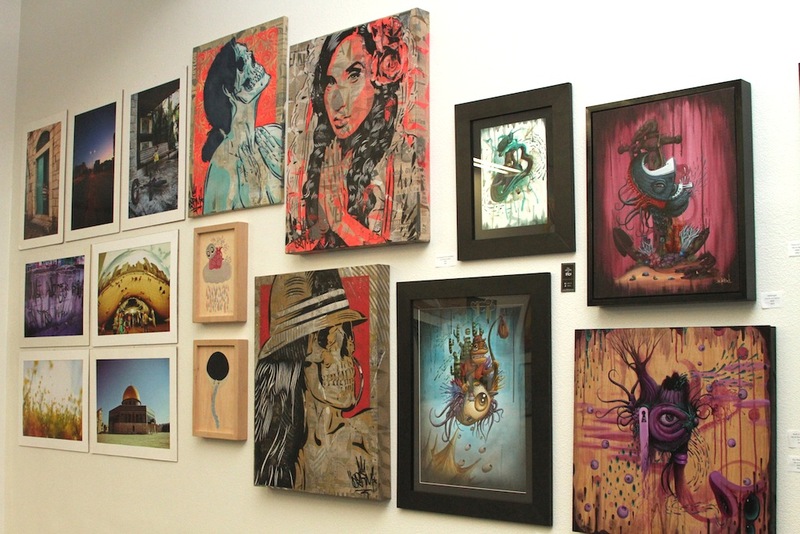 Be on the lookout for next year’s art show – we hope it’ll keep growing in impact. 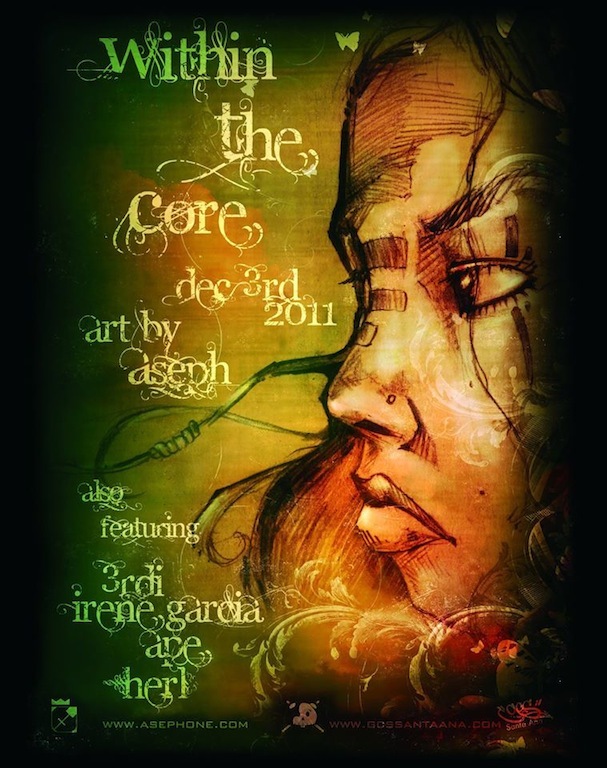 December’s art show brought us Aspeh’s “Within the Core”. 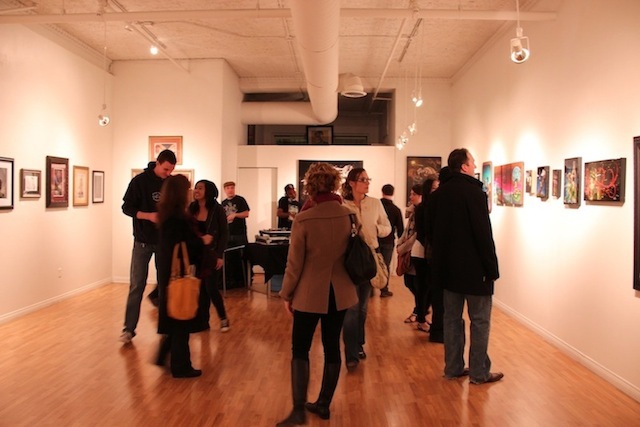 This is the third or fourth time that we have had the pleasure of hosting Aseph in our gallery. The crowds were great as usual despite the cold weather. 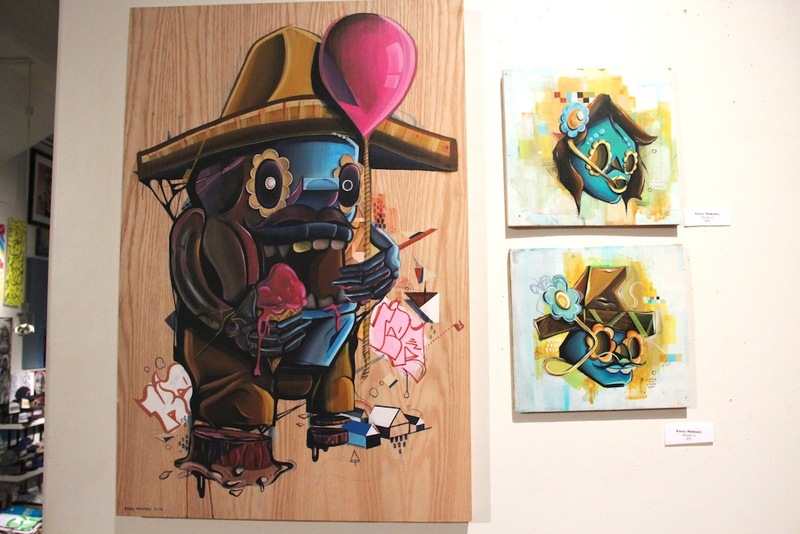 3rdI, APE, Hurl, and Irene Garcia also displayed newly created pieces in support of the show. The show was predominated by original acrylic paintings, punctuated by Aspeh’s huge centerpiece created on digital media. For more info on Aseph, check out his site www.aspehone.com. Special thanks to Elvis Williams a.k.a. DJ REAL for the great tunes all night long.